Over 500 million people across sub-Saharan Africa lack access to electricity, and the International Energy Agency expects that number to increase to 700 million by 2030. Since extending the grid to them would cost trillions of dollars, micro-scale, off-grid power from solar is often the only viable answer to energy poverty. In countries like Uganda, where only 15% of the population has an on-grid connection, there’s undeniable potential for solar to leapfrog traditional energy provision models; however, affordability, perceptions of low quality, and the absence of last-mile distribution and maintenance networks are curtailing development. These are the very problems that SolarNow, was founded to solve. The company has grown fast in the past 6 years. From a small start-up, the distribution and finance company grew to become the market leader for high-quality, customised solar energy solutions for households and the entrepreneurial class in Uganda and, since 2017, also Kenya. The company now has over 600 staff, and aims to double in size for the next two years. Solar Now are seeking an Operational Excellence Manager to support the organisation in this next stage of growth. 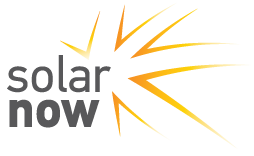 As the new Operational Excellence Manager, you will be responsible for analysing, designing and improving SolarNow’s operations. You will support the design of the systems and operations to enable sustainable growth and client focused practices, namely reaching and supporting more clients. As someone who cares deeply about improving livelihoods in Africa, you will bring more than passion to the role – you have the grit and resilience to do this work. You will report to the Operational Excellence Director and be excited to be hands-on in understanding and solving issues and follow through to convert insights into operational design. You are a problem-solver, a direct and candid communicator, and a thoughtful change agent who enjoys working with a range of stakeholders; and will relish the opportunity to design the operations to impact excellent service delivery and sustainable growth. Analyse operations to identify and define (through root cause analysis) service / business problems and associated processes. Identify, analyse and interpret complex data and evidence, making recommendations for process, policy, structure improvements or new service opportunities. Design and update process maps to enable both current and future growth states of service / business processes, working with process owners and stakeholders to define excellence for their services and appropriate metrics. Collate feedback from all stakeholders, including the voice of the client through the innovation unit to enable stakeholder satisfaction through operations design. Ensure consistent use of operations tools and techniques and identify areas for improvement or new tools. Manage the implementation of Operations Development Projects through working closely with Operations Teams across Countries to ensure required impact of operations updates.